Over 400 staff of the South based University teaching hospital, commonly known as CHUB on Saturday converged at Huye sector in Huye district to commemorate the 1994 Genocide against Tutsi. On this day, every year staff of CHUB commemorate 144 of their colleagues and more than 300 patients that were killed by people who were supposed to treat them during the 1994 Genocide against the Tutsi. The story behind the killing at CHUB is quite out of the ordinary. It has baffles medical practitioners seeing how far their predecessors could go to undermine their profession’s ethics. The University teaching hospital started as a health centre in 1929 by colonial masters in Butare Commune in the South of Rwanda. A baby boy, Theodore Sindikubwabo who was born in Gisagara commune also in the South was one year old, then. Thirty years or so later in 1963, the National University of Rwanda opened at Ruhande, just across the road and students enrolled for among others things to study medicine. A student called Theodore Sindikubwabo also enrolled at the faculty of medicine. Little did the registrar know that the young man would grow to become a disgrace to the medical profession. When the faculty of medicine started, the Butare health centre was upgraded to serve as a university teaching hospital, to cater for practice and internship to students. Sindikubwabo who later on specialized in Pediatric studies was among the students who interned at CHUB. He was later employed at the hospital immediately after graduation. The university empowered him to serve the community, but he later on used his skills to kill the Tutsi. Sindikubwabo quickly raised to fame and he was appointed President of Conseil Nationale de Development, CND, which was Rwandan Parliament. He led it until April 1994 when he became Interim President of Republic of Rwanda. The infamous speech that Sindikuwabo is said to have made was in Butare, April 19, 1994 where he called upon the citizens to “work”, a synonym of ‘to kill’ the Tutsi. However, Jean Nepomoscene Ntawurushimana, a customer relations officer at CHUB told KT Press, that, the little known meeting between Sindikubwabo at CHUB hospital staff on April 21, 1994 was most incendiary. “He gathered Hutu doctors he had put in place through years because he was an influential person and gave them a formula to kill the Tutsi,” said Ntawurushimana who was a young officer when the Genocide took place, but participated in the writing and editing of books on Genocide at CHUB. “As medical doctors, you know which part of the body to touch and a person cannot recover from the injury however much efforts can be deployed. Use and give the citizen that tip so that when they get an enemy (Tutsi) he has no chance to escape them,” Sindikubwabo was quoted as saying. Sindikubwabo is said to have indicated the jugular vein in the neck which carries blood to the brain which once damaged chances for the victim to recover are almost zero. 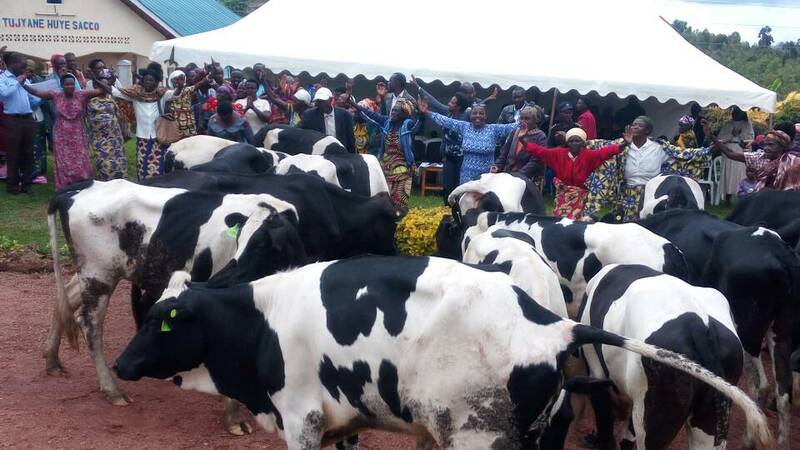 “He put in place a task force which was in charge of teaching this formula around Butare prefecture and they did it,” Ntawurushimana said. Meanwhile, Sindikubwabo reminded them of other ways they could use their knowledge and available facilities at the hospital to kill the Tutsi and there were always ‘good students’ who executed his ‘teachings’. Ntawurushimana mentioned an example of Dr Gatera who was Orthopaedic surgeon. “He used the gas that is used to safeguard the dead and burnt it, then sprayed it in the bush. No one could resist its odor, all theTutsi in the bush around the university hospital had to come out and face death,” said Ntawurushimana adding that smelling the gas causes death. Meanwhile, at CHUB, Sindikubwabo tipped everyone who entered the hospital to be ready to kill and this was given to patients, aides, doctors and nurses at the hospital. In April 1994, Ntawurushimana said, part of the Kanombe military hospital relocated to CHUB following mounting pressure from the advancing Rwanda Patriotic Front (RPF) Inkotanyi. There was also a tent of Medecin Sans Frontieres- Doctors without borders, a French organization. Thus, the hospital had a section dedicated to government soldiers who were injured at battlefield, then interahamwe in the same circumstances. However, there were also some Tutsi who were injured by Interahamwe and managed to reach the hospital, expecting to get medication. But they were unlucky because Sindikubwabo had given out the formula to finish them. Sindikubwabo is remebered to have asked administrators of the hospital to separate patient halls for Tutsi and Hutu patients to be able to speed up the ‘work’. The CHUB personnel were also profiled at the time. 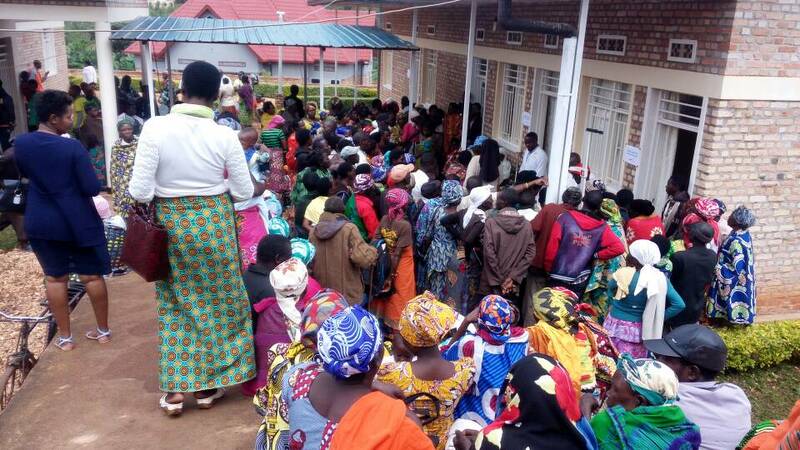 In other scenarios, Hutu medical doctors could enter with soldiers in an only-Tutsi hall to kill them. Meanwhile, Dr Sindikubwabo, the then president of ‘Abatabazi government’ died in DR Congo in 1998 before being held accountable for all this. The Prime Minister of Sindikubwabo’s government, Jean Kambanda is serving a life sentence in Mali over Genocide crimes and crimes against Humanity committed in Rwanda during the Genocide. He pleaded guilty to the crimes which involved almost the entire cabinet. But other people who executed the gospel of Sindikubwabo at CHUB are still at large and point in case is Sosthene Munyemana, a medical doctor based in France. Meanwhile, CHUB staff raise more than Rwf10 Million every year to support Genocide survivors who faced the animosity that planned by a person who was supposed to save them.